Bubba Kush reaches short stature and their leaves are wide, it is the typical Indica structure with a short distance between nodes. Its flavour is strong and sweet, and intense physical effect produces a large body relaxation perfect for relaxing after a hard day's work. Blue Dream cannabis seeds are a Sativa dominant strain created by the breeders at Humboldt Seeds.&nb..
2 x seeds Black Jack Auto2 x seeds Big Devil XL Auto2 x seeds Jack 47 Auto..
Nirvana White Rhino is a powerful F1 marijuana hybrid of White Widow and a curiously strong Canadian..
Afgooey has a chaotic and lengthy high which prove the reasons why Strain Hunters first stabilised t.. The White Strawberry Skunk is one of the fruitiest strains of cannabis ever to be bred. The heritage..
Super Silver Haze is a multi-award-winning Sativa with a sound reputation across the world for its .. The Church is a mix of Swiss sativa, Super Skunk and Northern Lights which has not yet been introduc..
Dam Sour is a brand new hybrid created from the famous Sour Sage. It is a long-internode indica-sat..
Super Critical is a cross between Big Bud, Skunk and White Widow. Physical, very fast-hitting, wit..
Auto Bomb is a cross between Green-O-Matic and Big Bang Autoflowering. It’s a fast hitter which has ..
Fruity Chronic Juice unites two strains that are renowned in cannabis circles around the world. We'v..
After 8 years of travel and over 40 awards won in national and international Cannabis scene in..
Santa Sativa cannabis seeds by Dinafem Seeds belong to a feminized, Sativa-dominant cannabis strain .. Sour Diesel Auto cannabis seeds by Dinafem Seeds belong to a feminized autoflowering Sativa/Indica/R..
Critical + 2.0 cannabis seeds by Dinafem Seeds belong to a feminized, Sativa-dominant cannabis strai..
After several years in the making, we have successfully crossed the power of Bomb Seeds with an auto..
Black Diesel cannabis seeds are a Sativa-dominant hybrid with award-winning NYCD parentage. It is we.. This fully automatic Critical Mass x Skunk #1 x Ruderalis cross has a sweet, fruity aroma, dense bud..
Kali 47 marijuana seeds are a strong and vigorous Sativa-dominant hybrid with an outstanding aroma a..
Auto Skunk 47 is a fine cross between Auto Critical Mass and carefully selected Auto Kaya 47 cannabi..
Auto Black Diesel is a stocky auto-flowering strain with a powerful, sweet mandarin aroma. Its power.. While working to release the Girl Scout Cookies S1's after months of rigorous testing, we knew we ha..
Tijuana is the stable result of a three-way cross. It is an almost pure sativa with flavours that li..
God’s AK47 is one of our best yielding marijuana strains because we have bred two amazing weed heavy.. 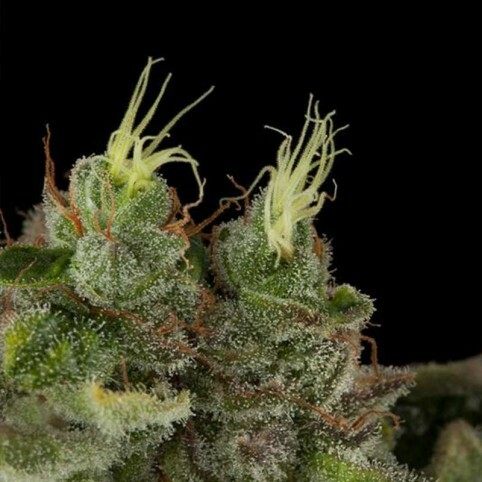 This strain is a cross between two genetics whose taste and aroma alone make them top choices for ma..
Critical is a plant that's getting well-known throughout the world. The seed brings back the memory ..